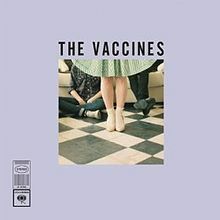 "Nørgaard" is the fifth single from English indie rock band The Vaccines from their debut album, What Did You Expect from the Vaccines?. The single was released in the United Kingdom on 19 August 2011. As per usual the youth of today are more interested in manufactured pop crap, so this one only reached the miserable heights of No 84 in the UK charts, but I think its a great song!